Create XML files for submission to regulators. XML Authority simplifies this process by providing a human-readable view of the data requirements as a set of annotated forms and tables. Validate to ensure compliance with data requirements. Easily validate and resolve issues using XML Authority’s interactive validation messages designed to take you right to the cause of any data quality issues. 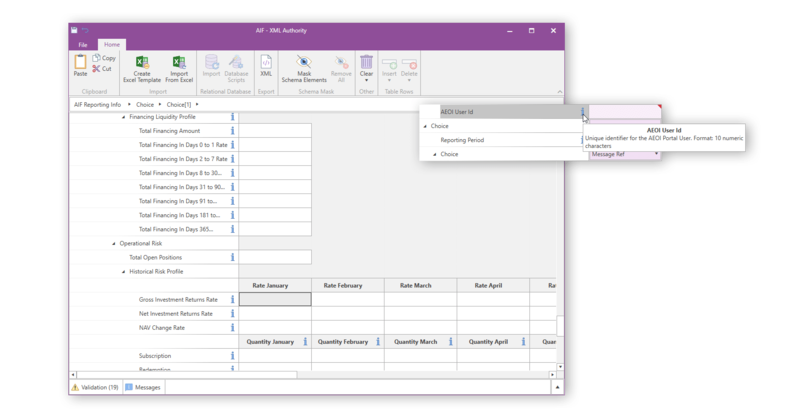 Automate to save time and reduce errors by importing from XML Authority generated Microsoft Excel import templates or linking to relational databases. 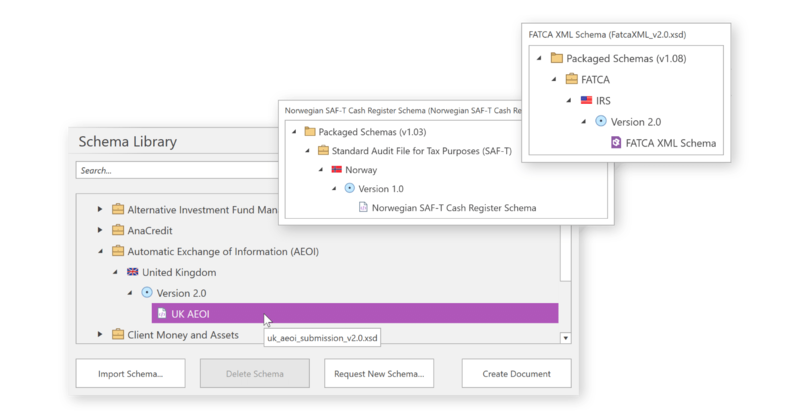 Generate XML instances for submission to your supervisor’s submission gateway in order to fulfil your reporting obligations. 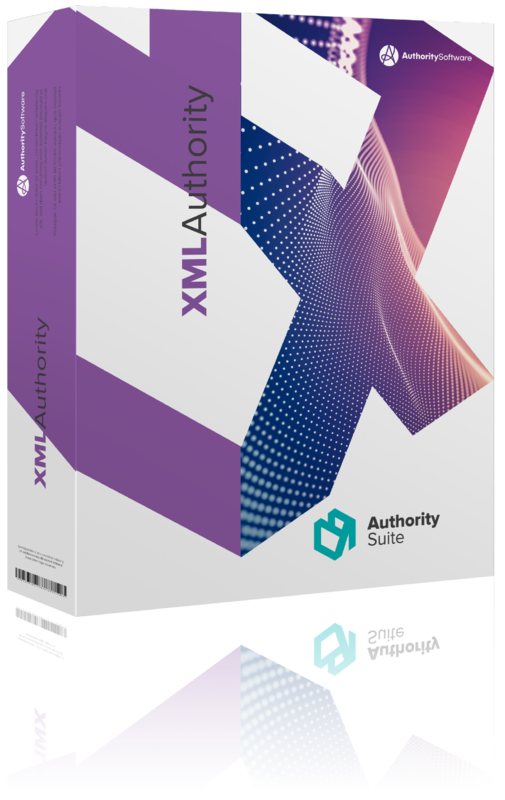 XML Authority is an XML program used to produce reports in XML format using schemas (XSDs) as is typically used for submission to regulatory authorities. XML Authority contains an ever-growing schema library where common reporting schemas are packaged, categorised and maintained. Easily understand what you are required to report with XML Authority’s intuitive presentation of an XML schema as a set of forms and tables. Guidance embedded in the schema is available through tool tips and mandatory fields are highlighted. One application for all your XML reporting needs. Save time and money by using XML Authority for all your XML reporting needs rather than purchasing and implementing specialised tools for each individual XML reporting requirement. All users have access to the Schema Library. Users can even load their own schema. Be instantly aware of any data issues that could cause the rejection of a submission. 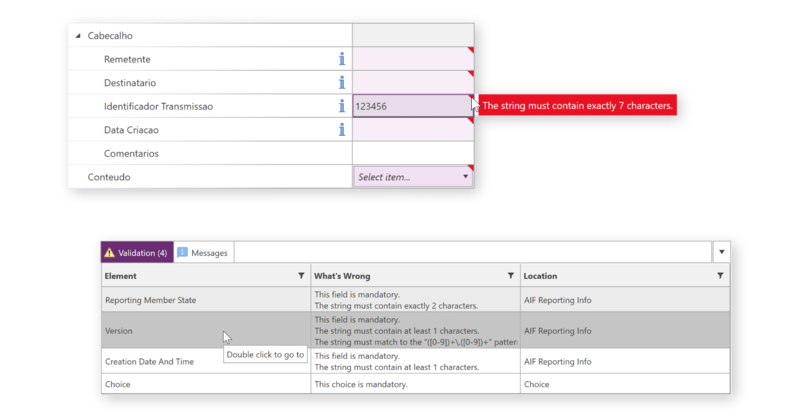 Find and resolve issues easily with the expandable and interactive validation panel. Automated linking to data in Excel. 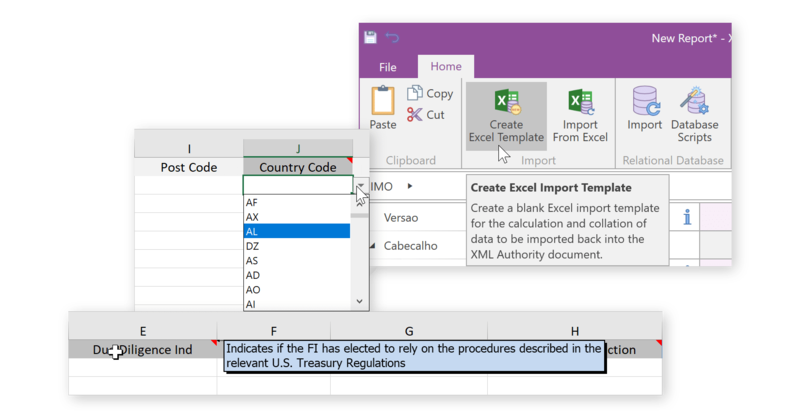 Save time by automating the population of XML Authority documents using data in Excel. Create import templates into which data can be inserted for re-importing into XML Authority. Link directly to data in relational databases. Data stored in relational databases can be imported directly into XML Authority. XML Authority can even generate database scripts which can be used to create a set of related tables conforming to the requirements of the XML schema. XML Authority contains schema masking functionality to enable the user to simplify the schema presentation and required data. 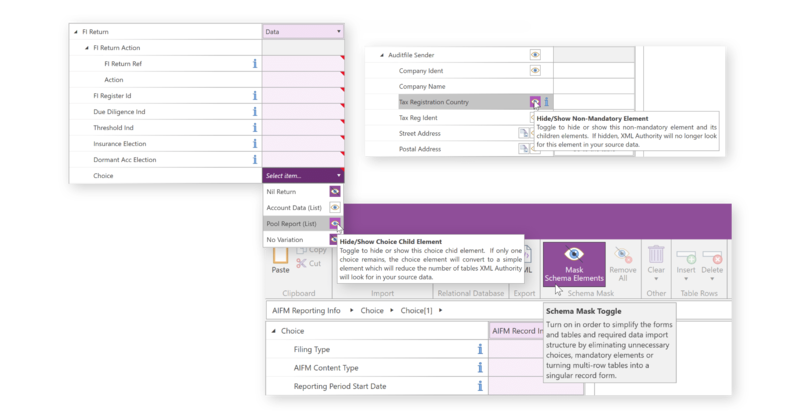 Non-mandatory elements and choice items can be removed to more closely resemble the data you may wish to report. Training for new XML Authority users is offered by our product specialists. Training can be done at a location of your choosing or remotely as appropriate. Creating documents and navigating XML schemas. Importing and using your own schema into XML Authority. Masking of schema elements to reduce complexity. 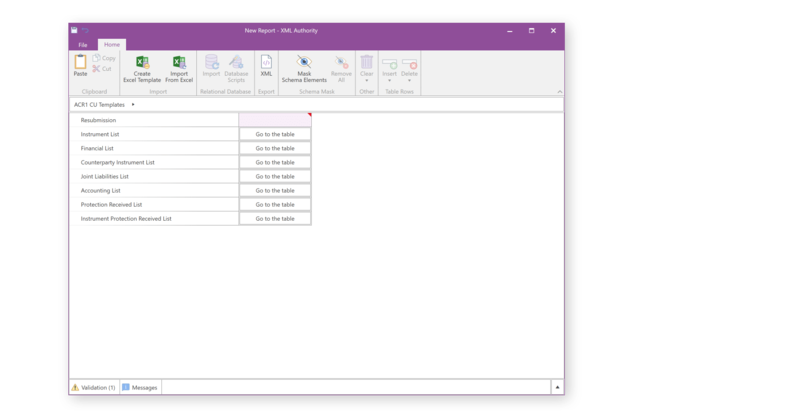 Creating and populating Excel import templates. Linking XML Authority to relational databases. Training is interactive and will utilise your own reports and data sources. At the end of the training you would have made significant progress in XML Authority’s implementation.